Tests of significance have been a key tool in the research kit of behavioral scientists for nearly fifty years, but their widespread and uncritical use has recently led to a rising volume of controversy about their usefulness. This book gathers the central papers in this continuing debate, brings the issues into clear focus, points out practical problems and philosophical pitfalls involved in using the tests, and provides a benchmark from which further analysis can proceed.The papers deal with some of the basic philosophy of science, mathematical and statistical assumptions connected with significance tests and the problems of the interpretation of test results, but the work is essentially non-technical in its emphasis. The collection succeeds in raising a variety of questions about the value of the tests; taken together, the questions present a strong case for vital reform in test use, if not for their total abandonment in research.The book is designed for practicing researchers-those not extensively trained in mathematics and statistics that must nevertheless regularly decide if and how tests of significance are to be used-and for those training for research. 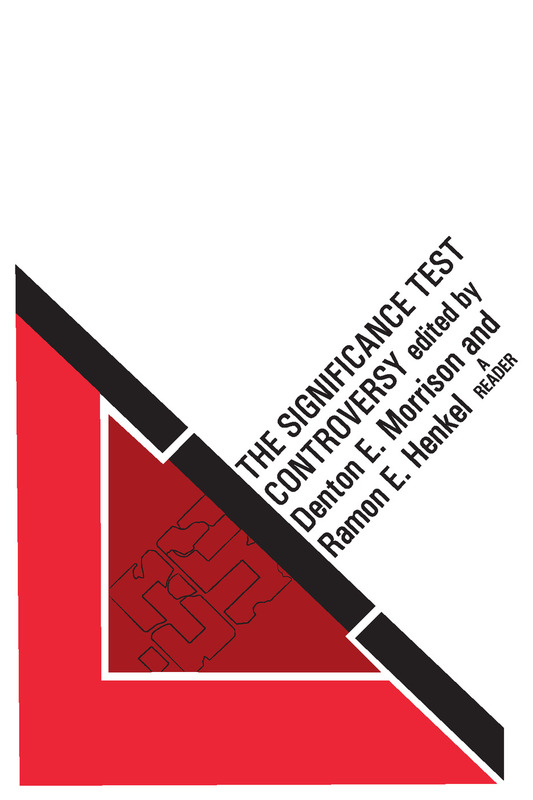 While controversy has been centered in sociology and psychology, and the book will be especially useful to researchers and students in those fields, its importance is great across the spectrum of the scientific disciplines in which statistical procedures are essential-notably political science, economics, and the other social sciences, education, and many biological fields as well.Denton E. Morrison is professor, Department of Sociology, Michigan State University.Ramon E. Henkel is associate professor emeritus, Department of Sociology University of Maryland. He teaches as part of the graduate faculty.